The Department of Nuclear Medicine at the University Hospital Rechts der Isar Munich offers the full range of services in this field. The key clinical focuses include the diagnosis and treatment of tumors, thyroid, kidney, brain and heart diseases. To do this, doctors have at their disposal all the necessary medical equipment of the latest generation, for example, devices for PET-CT, SPECT/CT, MRI, etc. The Chief physician of the department is Prof. Dr. med. Wolfgang Weber. There are 13 inpatient beds available for patients (the largest Department of Nuclear Medicine in Germany). With more than 5,500 outpatient thyroid examinations, more than 5,000 PET studies, more than 2,000 traditional studies in the field of nuclear medicine, as well as with an annual number of more than 800 inpatients, the Department Nuclear Medicine at the University Hospital Rechts der Isar Munich ranks among the largest and most authoritative Nuclear Medicine Centers in the whole Europe. The medical team of the department consists of 5 senior physicians and 11 assistant physicians, 15 medical and technical workers, 3 nurses with special training in the field of PET, and 11 care nurses. To provide interdisciplinary, comprehensive medical care, the department works in close cooperation with many other departments of the hospital. In addition, the department is part of the Roman Herzog Comprehensive Cancer Center (Roman-Herzog-Krebszentrums), which contributes to the most effective therapy in cancer treatment. 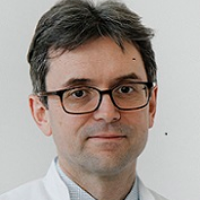 Also worth noting are the most significant achievements of the department, namely it is the certified Center of Excellence for the diagnosis and treatment of neuroendocrine tumors (the certificate of the European Neuroendocrine Tumor Society (ENETS)) and its PET-CT Unit is certified by the European Association for Nuclear Medicine (EANM).